A Christian couple is suing their son’s Church of England primary school because it allowed boys to come to class wearing dresses, which apparently made their son so confused he became ill. The family withdrew their son from the school and will now educate him at home on the Isle of Wight, alongside his eight-year-old brother, who was taken out of school a year ago after a boy in his class also began to wear dresses. The boys’ parents, Nigel and Sally Rowe, argue the unnamed school has acted without due regard to pupils and not respected their rights to bring up children according to their biblical beliefs. 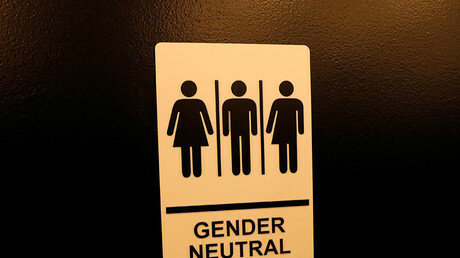 One option open to the couple is a judicial review at the High Court, which could have wide-reaching implications for schools’ responsibilities to transgender pupils. 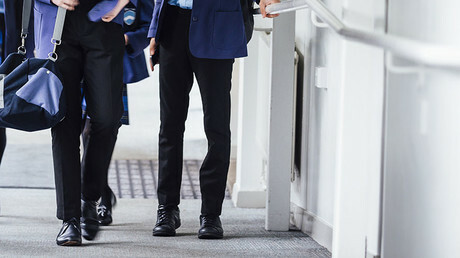 The school said it followed Church of England guidance that transgender people were protected under the Equalities Act 2010, and that it had policies in place to tackle transphobic behavior. It defined transphobia as including a failure to use a person’s adopted name or to accept he was a “real” boy or girl. Lawyers for the couple are expected to say that the school cannot rely on the Equalities Act because legal recognition of gender reassignment is only given to those over the age of 18, the Sunday Times reports. “A child aged six would sometimes come to school as a girl, or sometimes come to school as a boy,” Sally Rowe told the newspaper. “Our concerns were raised when our son came back home from school saying he was confused as to why and how a boy was now a girl. In a video for Christian Concern, a campaign providing legal support to the couple, Rowe claimed her eldest son became “quite ill and stressed” when a child wore a dress. The Rowes said it was “simply not the case” that they were prejudiced against transgender people.